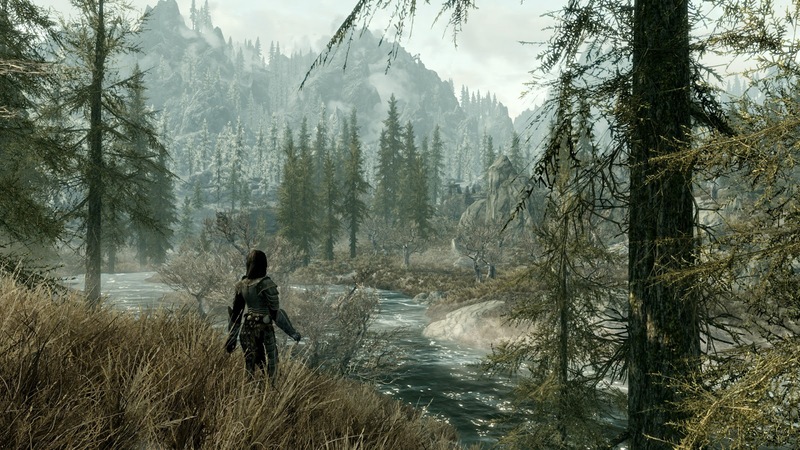 I spent a little time this long weekend trying to unwind my overwrought brain by playing Skyrim. And I had the same loopy thought I always have when I play it, which is, “Holy hell, life was hard back in ancient Norway.” Of course, Skyrim is purely fictional and involves dragons and mages and mythical secret societies and all of the usual D&D gaming fare, but nonetheless it reverberates with an overall feel of the ancient era involving one long, hardscrabble fight for daily survival at its basic level (not to mention filth and total lack of sanitation.) As many problems as modern life brings with it, I’d much rather be living now than back in the days when children dropped like flies from the common flu and it was all over for you if you got a simple tooth infection. I know it’s tempting to believe that whatever era you’re living in is more treacherous and dark than any before it, but I’ve never been one to turn a dewy eye on the past and wax nostalgic about how much better it was “back then”. It wasn’t. But something is going on. Lately I have felt a sense of darkness in our culture that’s tainted with a disturbing undertow of hopeless, nihilistic despair. I’m not talking about your everyday first-world existential angst. I’m talking about something deeper and more profound. It’s been showing up in our popular culture for at least the last five years with the massive popularity of shows such as “Dexter” and “The Walking Dead” (both of which I love), and books like Cormick McCarthy’s “The Road”, a great and grueling read. But I’ve noticed it most markedly in our superhero movies. I’m not a big comic book fan (please, no nerd rage in the comments section), and with the exception of the Batman series, I don’t make a special point to see comics-based movies. But today Mr. Typist and I saw the latest Ironman, and no less than three of the trailers they showed were from movies based on Marvel comics superheroes. And that’s when I realized that what’s going on in these movies now is much different than the "reluctant-superhero-overcomes-inner-obstacles-and-saves-the-world” trope we all know and love. I can’t quite put my finger it, but there is something deeply twisted happening with these narratives. It’s more than just a dark turn on a common theme. There is something black and hopeless infecting our well-known myths. There is a deep societal self-hatred being mirrored in these films and in our popular culture in general. The pain of the Hero has extended beyond an inner struggle, and is now a struggle to decide if humanity is even worth saving to begin with. The villains are no longer out to serve themselves through power, wealth or revenge, but are instead bent on the wholesale destruction of humanity for its own sake. Our worst nature is reflected back at us not as an aspect of ourselves, but as our core identity. We seem to be slowly poisoning the roots of our long-held cultural narratives, but so far we aren’t replacing them. It almost feels as though we are trying to annihilate ourselves. As I was thinking about all this today, I recalled Heath Ledger’s brilliant performance as the Joker in “The Dark Knight”, and I’m more convinced than ever that his death was due at least in part to the toll that role took on him as artist. I don’t think that you can embody that level of inhumanity so effectively and not have it infect you in some permanent and damaging way. The cultural obsession with his performance and his subsequent death wasn’t the beginning of this transformation of our core myth, but it’s one of the more powerful examples. In the end, this may be a good thing. It may be a natural step in our evolution, a phase that we need to go through to mature and advance. But with our population living longer than any other time in history, and with astounding advances in medicine, science and technology creating a seemingly safer world than ever before, I find it interesting that we are so obsessed with our darker nature and the prospect of our own mass destruction. Does it come from an instinctual unease with how far our technology is taking us from confronting our essential biology? Is it a manifestation of our reptilian brain trying to flex its muscle in a world of ever-dwindling threats to our person? Or are we collectively, perhaps subconsciously, preparing ourselves for the inevitable? A smarter person than me is going to have to figure that one out. But I do wonder. Or is it more that the polarity of life that we live as humans, has to be reflected. There is an astounding amount of "good" out there, not just technical and medical advances but in everyday compassion. The darkness you mention is just its opposite, the balancing of the scales, so to speak. Then again, maybe it has to come to such an extreme ... that we are reach the pinnacle, the climax of extremes... before we learn to live in a more centred way.